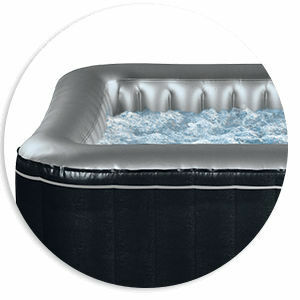 Compact and stylish with its square format, this inflatable spa is ideal for 4 people. Elegant and robust, Aspen has an ultra-resistant laminated PVC coating artificial leather and a bead inner liner. 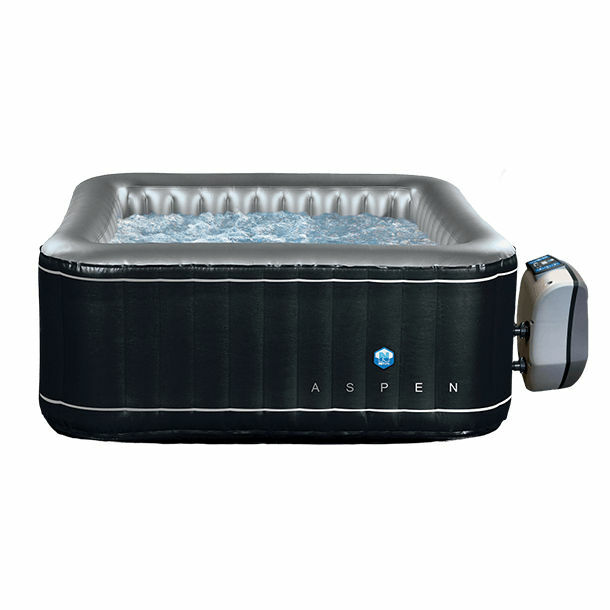 The Aspen comes with an intelligent and economical engine block with three functions: heating, massage and filtration. You will love its design, love its spa and enjoy its low price!